We hope everyone had a great weekend! We are both busy preparing for Christmas and are excited to see each other this week! We thought it would be fun to ask the men in our lives some questions and let them run the blog post this week. See what they had to say below. Enjoy! What’s your go to workout routine? Kevin: For me I try to focus on getting to the gym consistently. Since moving to Arizona in July I have created the habit of going before work each morning, which is important for me since I tend to be all in or all out on things. When I am in the gym I don’t have a routine or the same workout. Instead I try to push myself and make sure I am making the most of my time – usually mixing two to three muscle groups a workout with cardio every other day, the idea is to keep things fresh and not to spend too much time resting between reps. If I ever had a set routine I would worry my workouts would start feeling like a chore and I wouldn’t go anymore! Nick: Not sure that I have a go to routine but I usually start with a half hour of cardio then work on weight machines and finish with an ab workout. What’s your favorite meal that Amanda/Meghan cook? Kevin: Everything is the only appropriate answer! But some of my favorites include Amanda’s Chicken Pot Pie and Steak Fajitas. Nick: We usually end up cooking together and our speciality is chicken parmesan. How do you stay active and healthy with a busy work and school schedules? Kevin: I need to workout in the morning, if I don’t knock it out before work I would never make it the gym. Nick: The key is to work hitting the gym or a good run into your daily routine because then it’s harder to make excuses for not going. I usually workout right when I get home from class or work before I get too busy doing my homework or relaxing for the night. What’s your favorite thing to do for a date night? Kevin: I love that Amanda and I share a passion for Michigan State sports, I really enjoy watching the basketball and football games together. Sometimes I am not the easiest to watch games with but Amanda is a good sport! Nick: Favorite date night activity has to be getting ice cream because Meghan loves it and there are so many options. What’s your favorite memory with Amanda/Meghan? Kevin: It is hard to think of one favorite because lot of things come to mind! 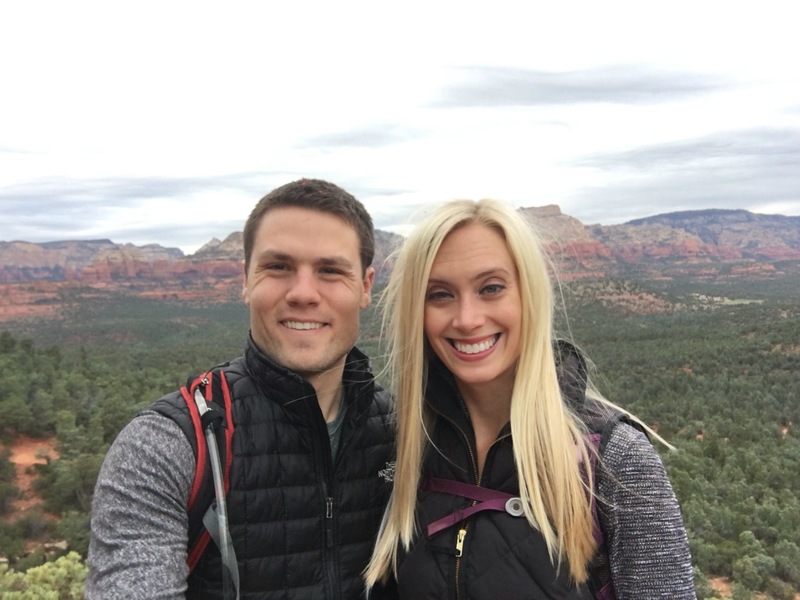 Amanda and I both really enjoy traveling so a lot of my favorite memories are around our trips – either longer ones like the month we spent backpacking in Italy or the shorter ones like the weekend trip we just took to Beverly Hills! 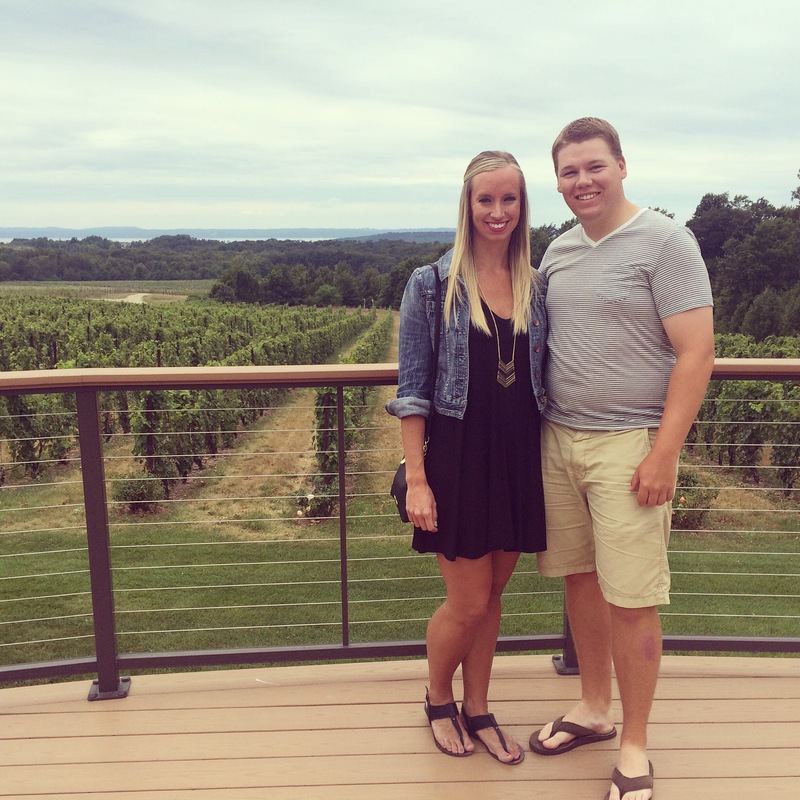 Nick: Our last anniversary we spent in Traverse City was one of the best times I have ever had with Meghan. It was one of our first real vacations alone and we had a lot of fun visiting wineries, going on a sailboat, and enjoying local restaurants. We are looking forward to going back soon!